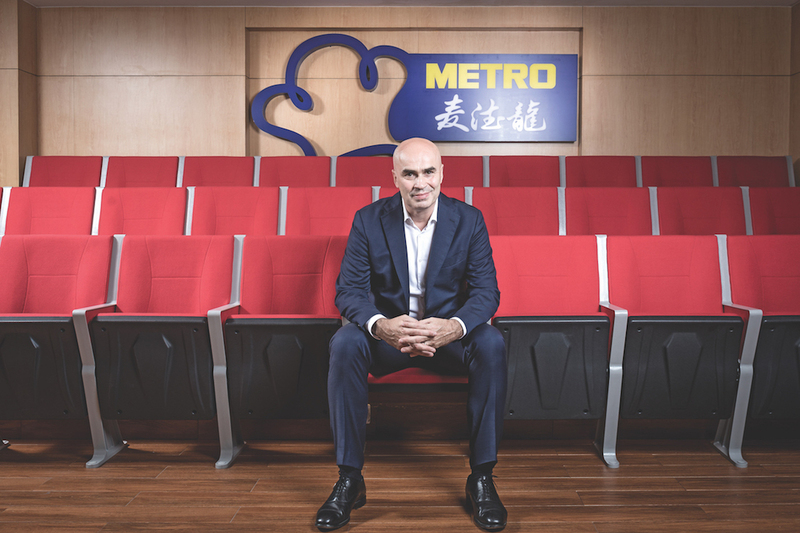 METRO China CEO Claude Sarrailh is leveraging the decade of expertise he gathered while working with METRO across Europe to drive growth and diversification in China. A leading international wholesale specialist since 1964, METRO prides itself on catering to the individual tastes of 21 million wholesale customers in 35 countries around the world. Powered by a global workforce of 150,000 people, the business provides custom solutions through its various sales brands, delivery services and digitalisation initiatives. The business has a strong track record in meeting regional and international needs with a focus on customers, digital solutions and sustainable business models. In 1996, METRO Cash and Carry, the international pioneer in self-service wholesale, opened its first store in Shanghai, introducing a brand-new business concept to the country. Today, it is present in 59 Chinese cities with a total of 95 stores, 11,000 employees, and more than eight million customers around the country – achieving sales of RMB20.34 billion in FY2016–17. 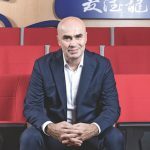 Having been with METRO since 2006, in leadership positions across Romania, Poland, Russia and Italy, it would be a gross understatement to say METRO China CEO Claude Sarrailh is one of METRO’s strongest human assets. “The scope I’ve gained working in different departments in different regions within the company has helped me develop strong commercial knowledge. It has also instilled in me a sense of duty towards my employees and the country I’m living and working in at the time,” Claude explains. Focusing on different customer groups, METRO China is developing multiple sales channels including O2O stores, Foodservice Distribution, Welfare and Gifting, and ecommerce. “In China, METRO is reaching new heights compared with our European markets. The growth we’re experiencing is rapid because China is leading the world in the way we manage smart transit and how we treat our customers both online and offline,” Claude explains. “However, this also presents a challenge in the way we handle all this new data and the fact that our competitors are advancing as well. With a strong sense of social responsibility, METRO has always been striving to assume its duties as a corporate citizen while achieving sustainable business growth. It has made huge contributions to the improvement of China’s food safety system, including building and turning existing stores into green stores, setting up solar power stations and upgrading the refrigerating systems, to reduce energy consumption and emissions. Given the size and scope of its global business, METRO brings ample job opportunities and advanced management concepts wherever it operates, to improve the product quality of local suppliers and small and medium-sized businesses. “We always look to establish long-term relationships with our partners so that when we succeed, they succeed also,” Claude explains. METRO continues to include more Chinese companies in its global distribution and sales network, to help them sell their products to international markets. 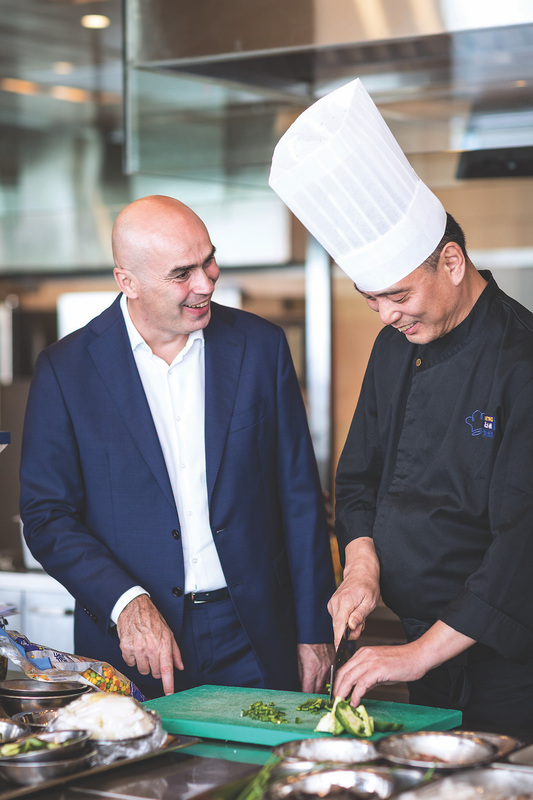 Looking to the future, Claude says METRO China will continue to do what it has always done – understanding its customers and delivering a wide assortment of retail and wholesale food solutions to China. “We are an innovative company founded on safety, food quality and trust. “As one of the leading food retailers in the country and the leading national food service distribution company, we know people love our products and we’re determined to see this continue,” he explains.